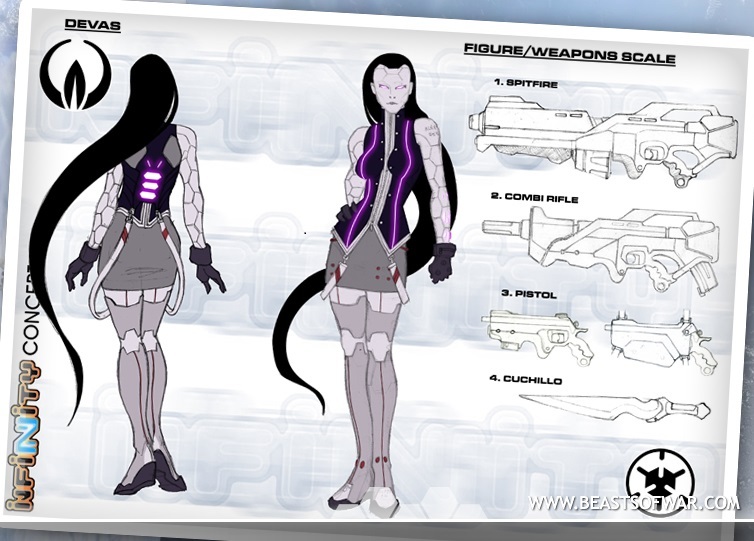 ALEPH has at its disposal military biosynthetic bodies specifically designed to host Aspects, or partial representations of its own self. These Lhosts are designated with the code-name ‘Deva’. In Indian Vedic hymns, Deva is an ambiguous term, denoting both gods and demons. 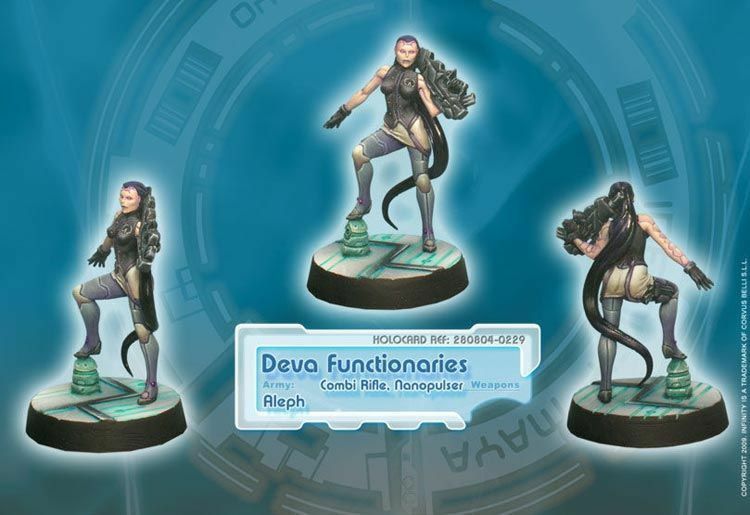 To ALEPH, Devas are the core of its immune system. 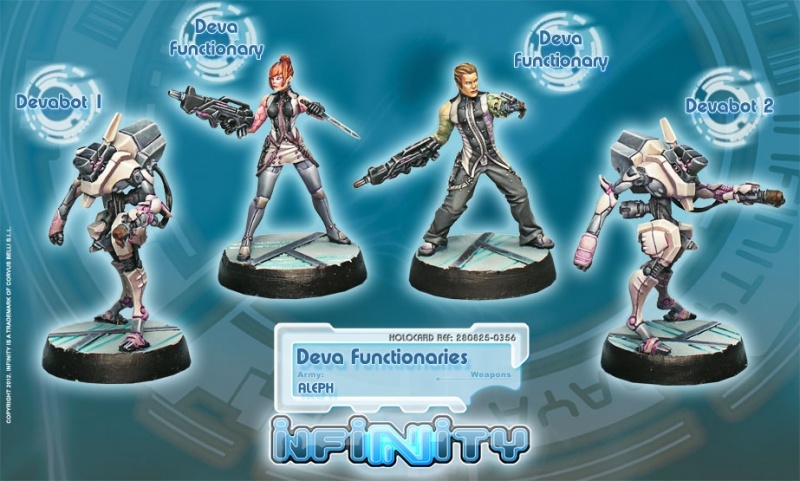 Their main function is to make ALEPH’s plans easier and to eliminate problems before they can spread. They have the improved physique of an Olympic athlete, incredibly fast with amazing stamina. They are the most common tactical Aspects in the Special Situations Section, working as operatives or military advisors as the AI directs. 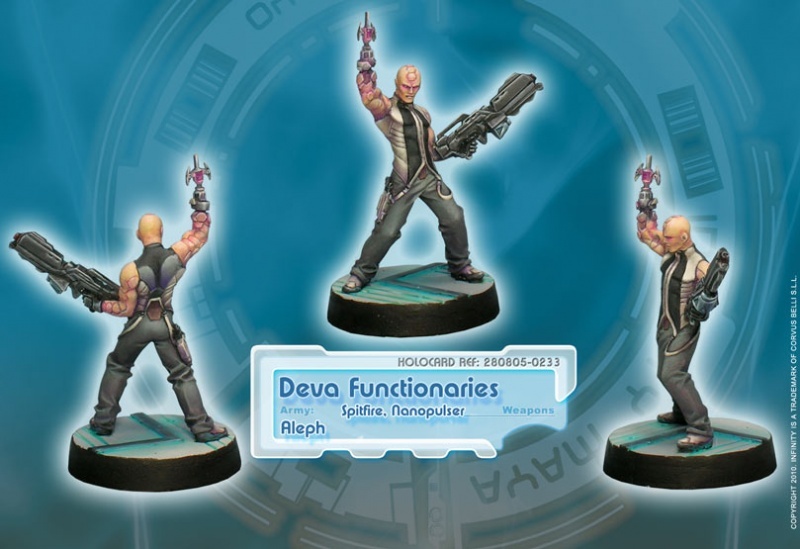 The Deva Functionaries are transferred to armies and security forces who petition ALEPH for them, according to the given threat level. They are often deployed individually, receiving an equivalent officer level, but they stand always out from the command line. 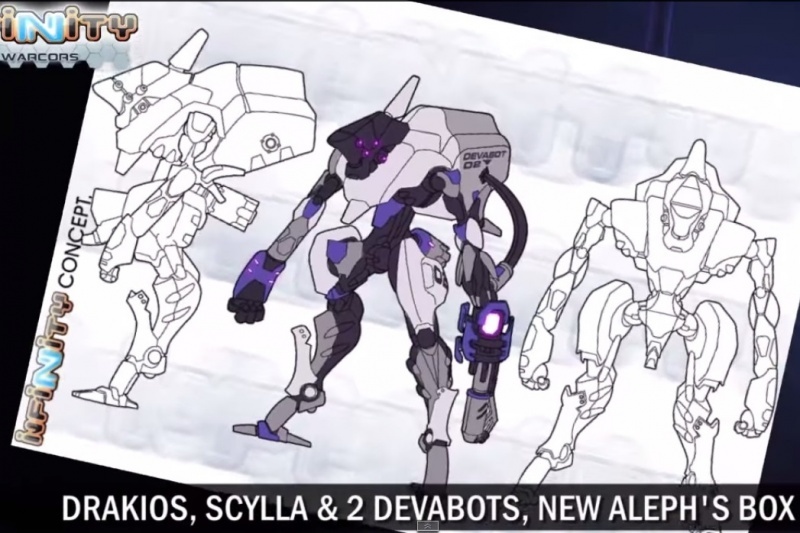 The Devas fit into their assigned units to act as liaisons, field advisors and, if necessary, a combat support force. When they enter action they are serene, dispassionate and very fast, obeying orders with coldly logical precision. Independent of scenario or circumstance, a Deva’s behaviour in combat is always efficient and professional... inhumanly so. 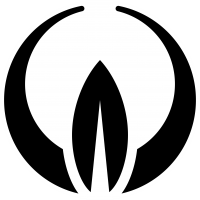 This page was last modified on 5 November 2018, at 08:38.